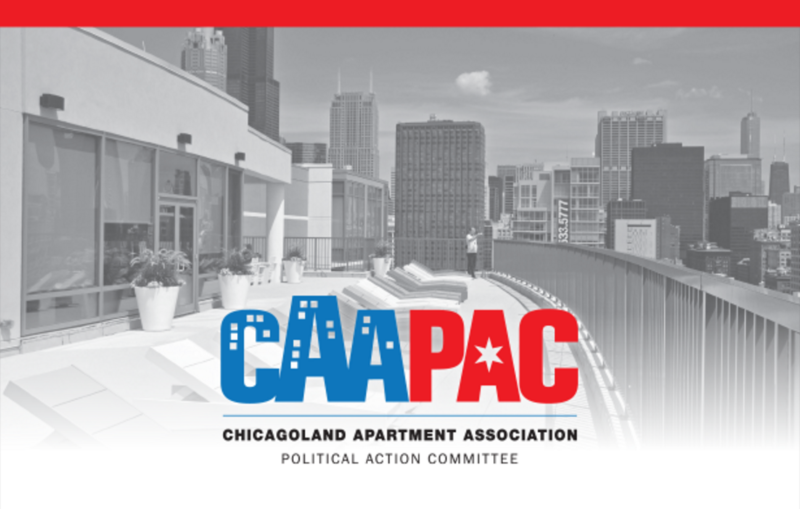 The Chicagoland Apartment Association Political Action Committee (CAAPAC) works to elect candidates for state and local office who support CAA’s mission, legislative agenda, and policies that facilitate successful residential rental apartment ownership and management. Through the generous support of CAA members, the PAC supports candidates with a demonstrated record of support for our industry. The CAA Executive Committee is responsible for making CAAPAC contribution and funding decisions, which are communicated to the general membership. As a member of CAA, you can make a difference in the legislative process. By contributing to the CAAPAC, you are helping to ensure that our elected officials understand and support our industry. The CAAPAC is funded by voluntary donations from CAA members, and member solicitations and candidate contributions are made in accordance with Illinois election law. The National Apartment Association Political Action Committee (NAAPAC) is dedicated to supporting federal candidates for the U.S. House of Representatives and U.S. Senate who adhere to the principles of good government and understand the concerns of the multifamily hosing industry.